These colorful gumball banks are sure to make a statement in any playroom or home office. 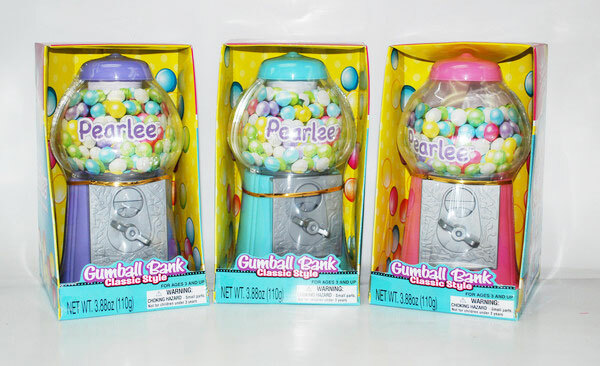 Turn the knob to recieve a yummy gumball while the money drops into a bank for safe keeping. Choose from Blue, Lavender, or Pink. Includes pearl gumballs. This bank takes pennies, nickels, dimes and quarters.